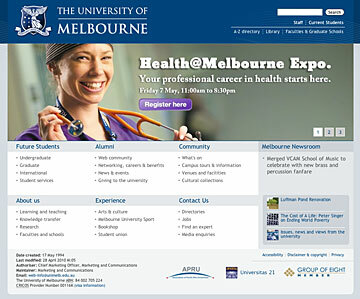 eFirst is assembling a new, centralised eCommerce System for the University of Melbourne. Due for release by June 2010, the system will be PCI-DSS compliant and will integrate into the new student services platform provided by Technology One corporation. By centralising the eCommerce system, the University was able to contain the scope of a PCI-DSS audit to a handful of servers and applications provided by eFirst. Such an approach limited the potential scope of both an audit, and improved overal security of card processing. The solution contained a variety of integration including .Net application programming and user interfaces, integration with Oracle financials and leverages off eFirst technical experience in this area.